CBC Radio Interview for “The World This Weekend”! 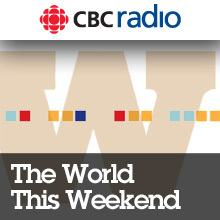 This fun interview for CBC’s “The World This Weekend” stars both Dan Parent and me. The interview starts at the 21-minute mark. The promo before the interview starts at the 10-minute mark. Enjoy!!! ← CBC local evening newscast coverage!